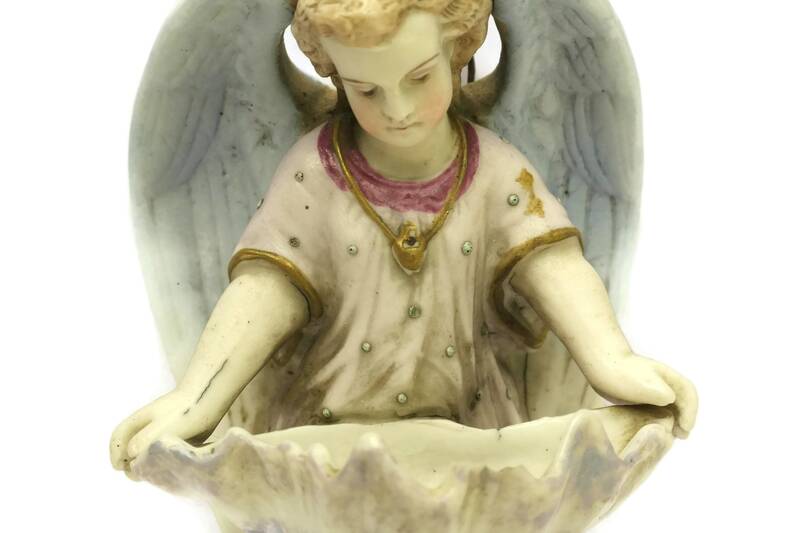 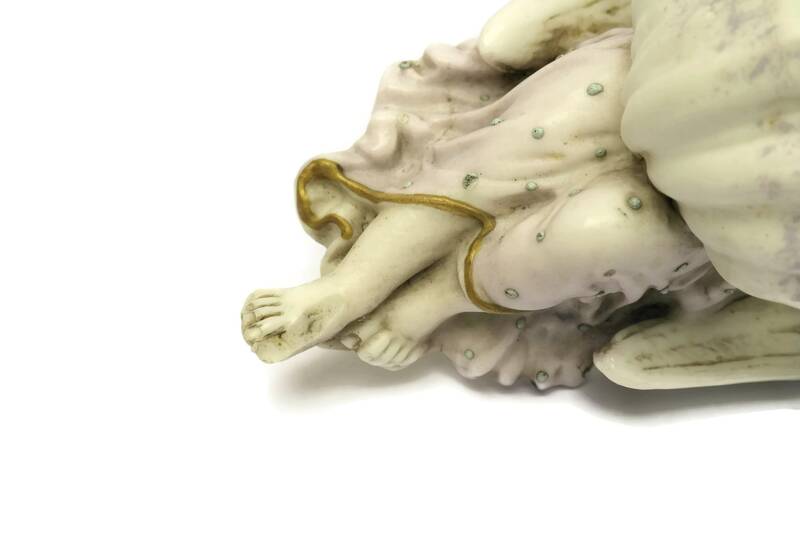 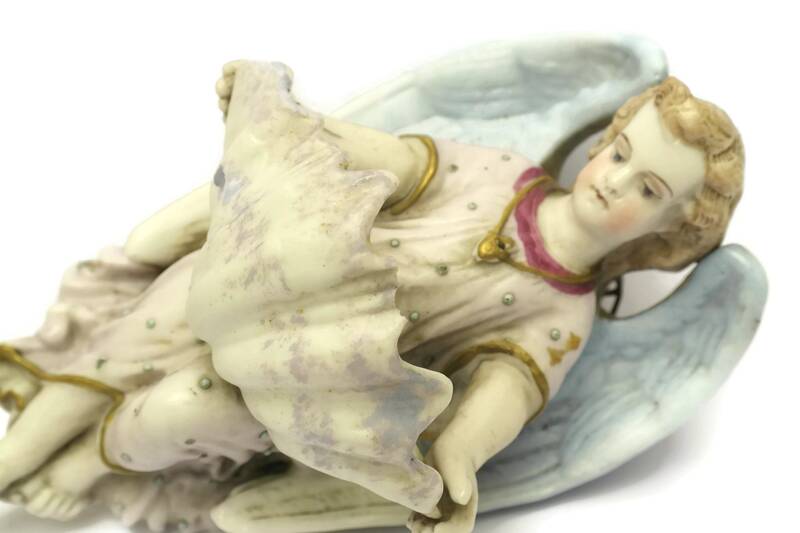 A delightful antique porcelain angel figurine with Holy water font from the 1800s. 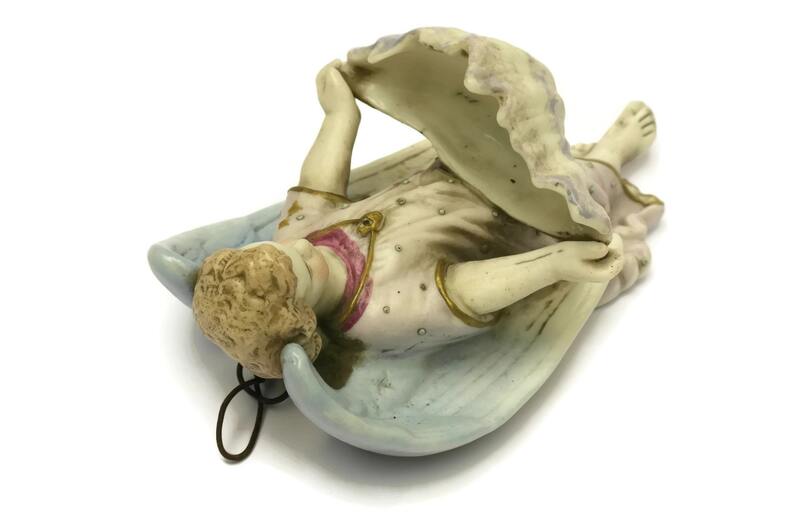 It was created by the famous porcelain company Mauger & Letu in the French town of L'Isle-Adam. 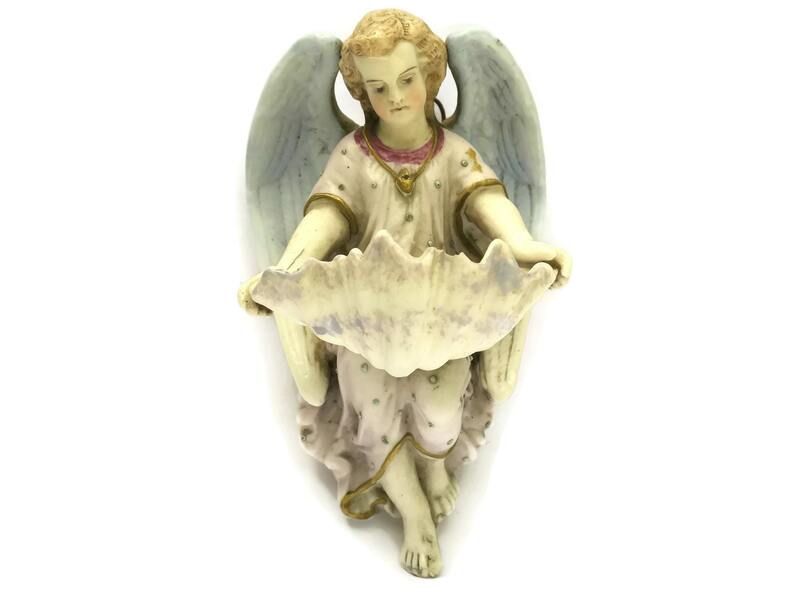 The guardian angel religious wall hanging has been made from hand-painted porcelain with gold accents. 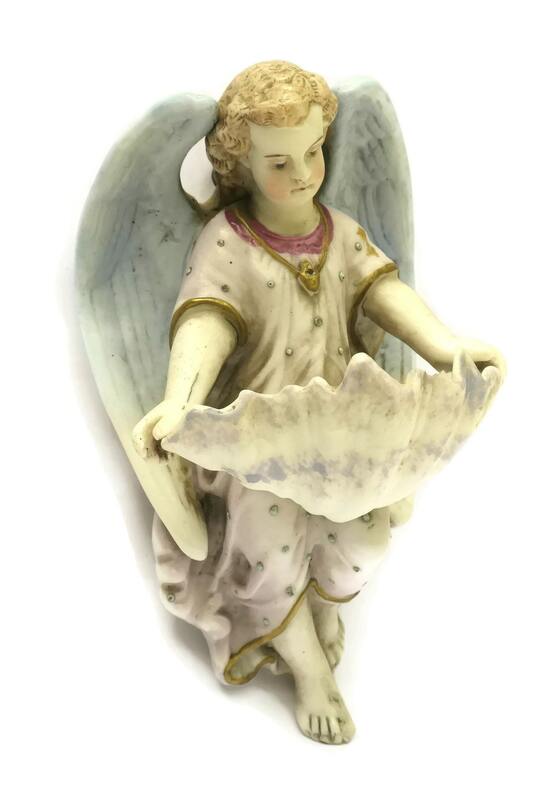 The angel holds a water reservoir in the form of a clam shell. 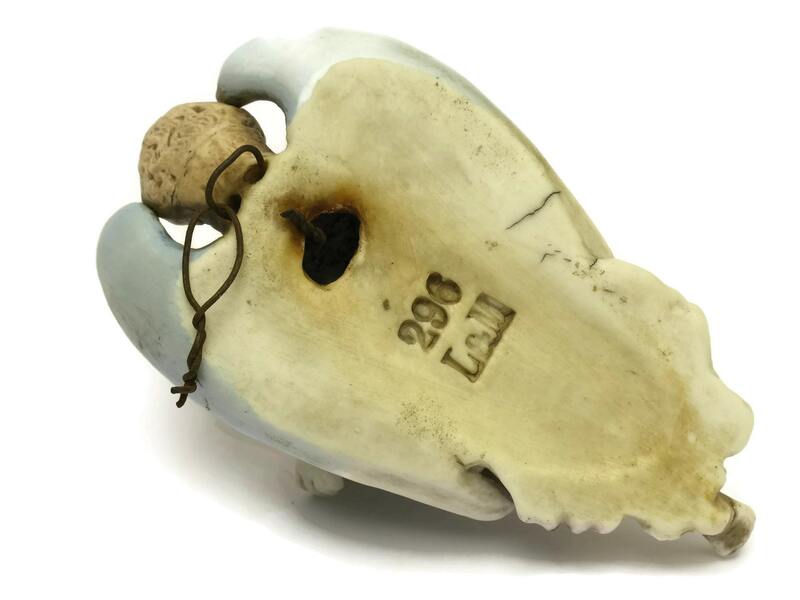 The reverse side has an impressed manufacturer's mark and pattern reference number 296. 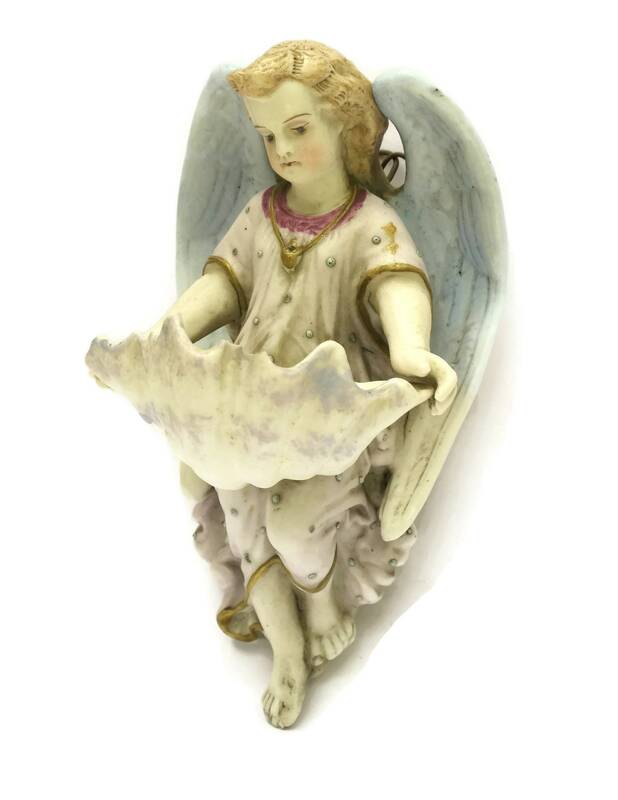 5” Tall x 3” Wide (13 cm x 8 cm). 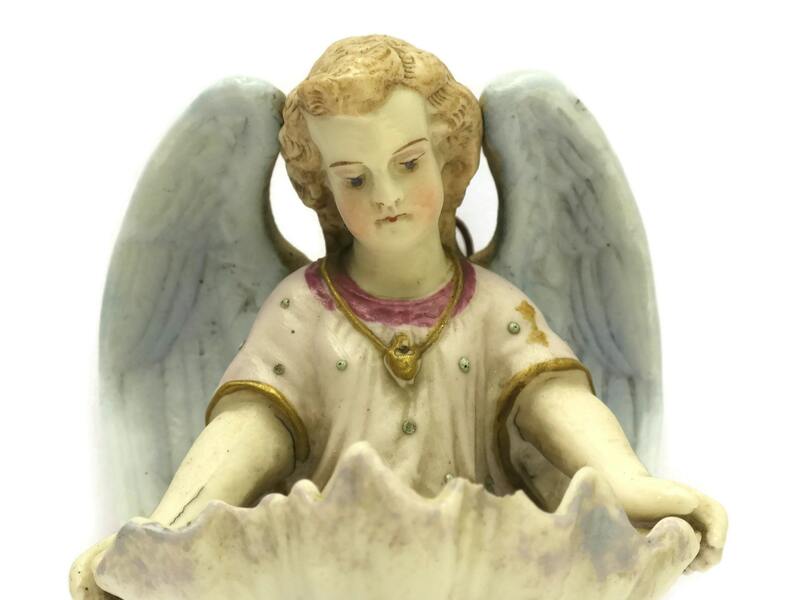 The antique porcelain angel figurine is in good condition with some signs of age and wear including patina and surface marks. 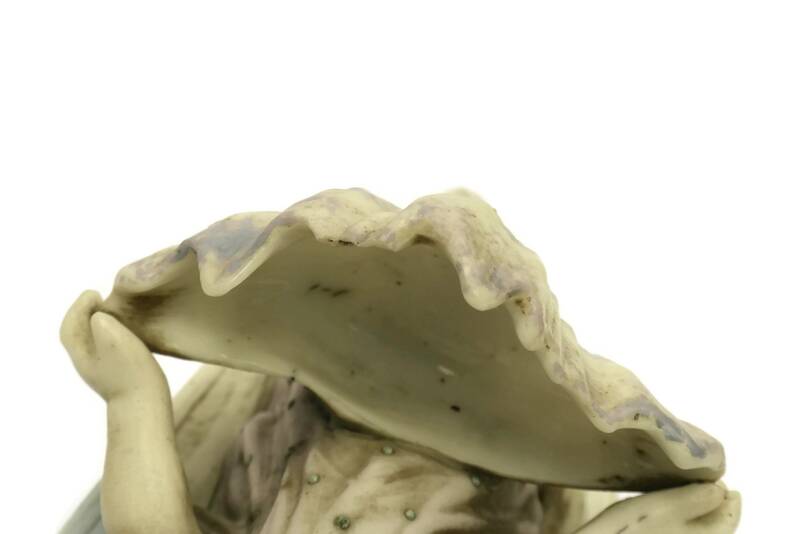 There is a small chip to the edge of the clam shell and to the side of the angel's right foot.